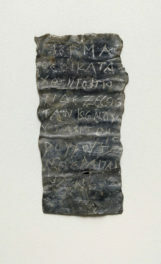 Eros Wearing a Lionskin, Greek, 100–1 B.C. Terracotta, pigment, and gold, 15 3/4 in. high. The Museum of Fine Arts, Boston. Henry Lillie Pierce Fund. 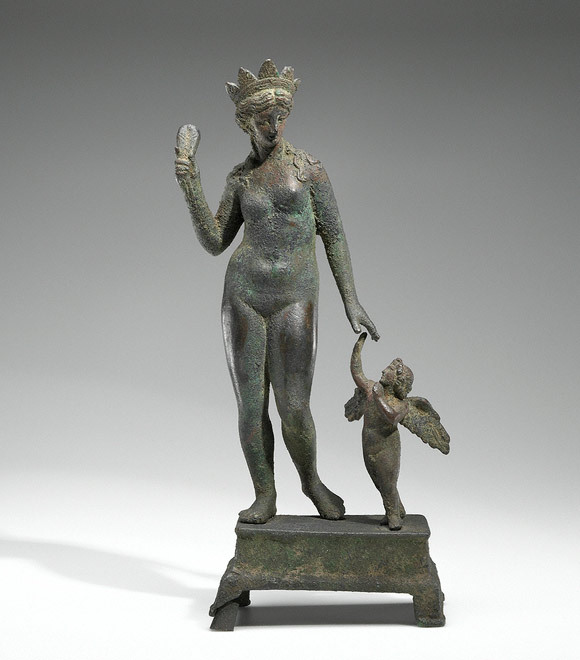 This object was featured in the exhibition Aphrodite and the Gods of Love, presented at the Getty Villa and the Museum of Fine Arts, Boston. 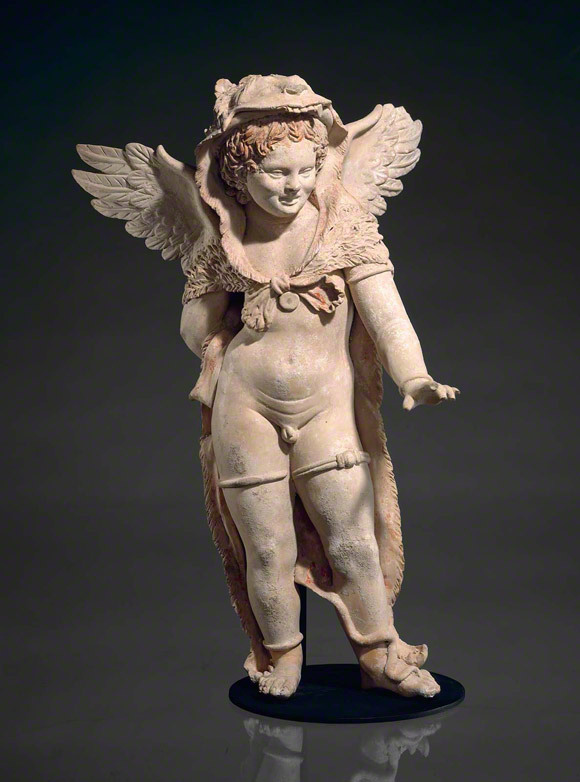 Eros’s capacity for causing trouble will be one of the themes in our upcoming exhibition Aphrodite and the Gods of Love, which highlights the manipulative and sometimes destructive characteristics of Aphrodite and Eros. Featuring over one hundred objects from the collections of the Museum of Fine Arts, Boston, and the Getty (including the two discussed here) together with a selection of spectacular loans from Italy, the show opens on March 28th, and I look forward to welcoming you to it. In the meantime, though, I hope Eros treats you kindly. 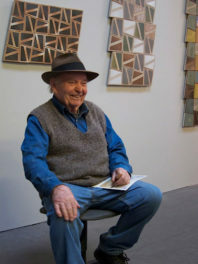 Another beautiful and informative article–you all do such compelling and appealing work and that says nothing about the great exhibits at the Villa and “on the hill.” I wish I lived closer to both. Please continue the top-notch work! The best, Jeff. Wonderful to have your organization in L.A.